Representatives from the Federal Governments from Upper Austria and Salzburg, from the farm advisory service and the sewage treatment plant and farmers met at a public event to debate on the status of the water quality of Lake Mondsee. Hermann Klug, Z_GIS, presented findings from the Z_GIS Landscape Lab, which were acknowledged as one opportunity to reduce fertiliser movements towards surface waterbodies. 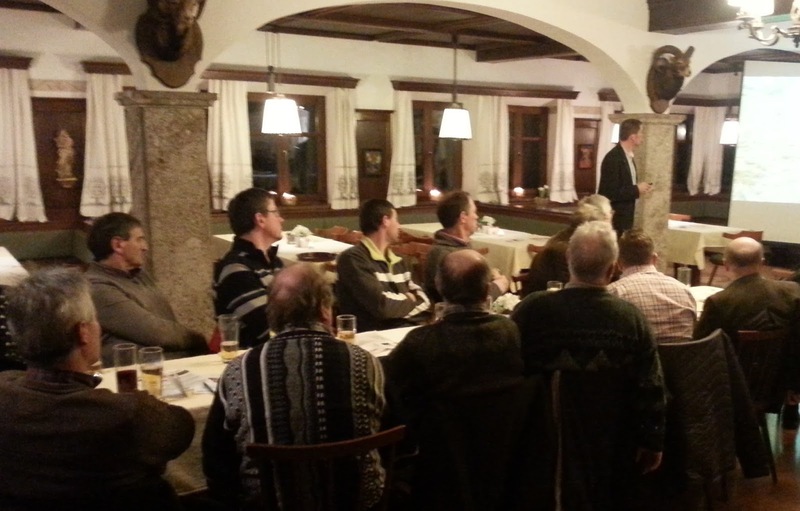 The participants discussed the ecological status of Lake Mondsee and its causes and consequences. Farmers reported, that tailored soil wetness and weather forecast information by means of SMS or email would be considered in the manuring process to avoid fertiliser runoff shortly after a heavy rainfall event and to prevent soil sealing on wet soils impeding the infiltration of water and nutrients in the soil. Almost 90 visitors joined the Z_GIS networking event "Innovation Ecosystem Geoinformatics" at Techno-Z. 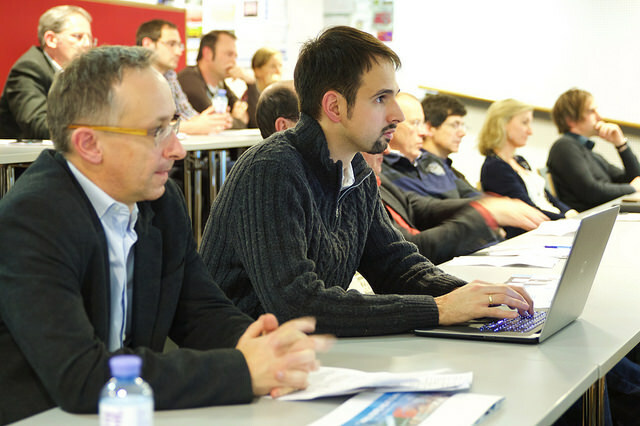 Collaboration partners and industry representatives came to obtain first-hand information and to talk to members of the GIS community - including visitors from Southern and Western Austria and Germany. Actors shared innovative ideas on how this ecosystem came into being and how it may grow even further. 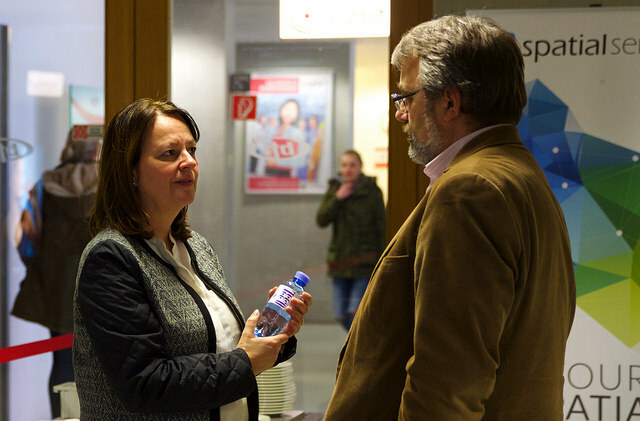 The event led into a launch party of the recently founded company Spatial Services GmbH. 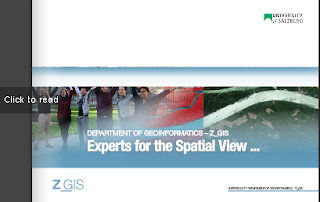 Your are welcome to explore details on our geospatial sciences department - enjoy reading, sharing, offering feedback and discussing contents with everyone at Z_GIS!